Jardin de Vies is a nonprofit association whose purpose is to promote all forms of information and practical wellness. 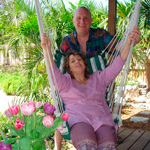 Your hosts, Sylvie GROSJEAN-RASMUSSON (natural health practitioner) and Doug E. GROSJEAN-RASMUSSON (massage/aromatherapist), have a total of 50 years of experience in the field of Health and Wellness. 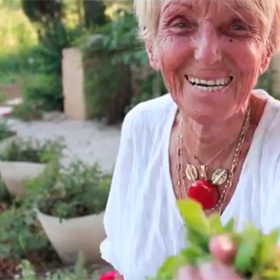 Jardin de Vies organizes workshops and seminars with natural health providers, chosen for their quality of Well Being. You can also receive individual massages, aromatic, balance and vitality programs. The surrounding area offers many opportunities for nature walks, mountain bike trail riding and numerous other excursions. 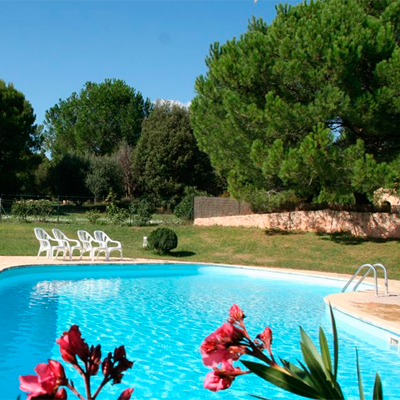 A former center of silk production, la Haute Maure vacation rentals is situated only a few kilometers from the villages of Salernes and Lorgues. It is hidden away in a secluded corner of the countryside and steeped in the perfumes of thyme and lavender. Its fifteen acres of land, with attractive swimming pool , are the incarnation of Provence, its countryside (olives, evergreen oaks, mulberry trees) and gentle way of life. 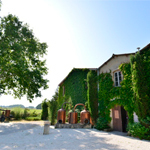 For nearly thirty years, the heart of the countryside has hidden a magical place filled with the aromas and scents of Provence, all natural and all organic. You can admire one of the finest collections of stills in the Museum of Aromas and Perfume… enjoy a walk in the heart of the “Carré des Simples” herb garden organic culture, discover the aroma boutique and courtyard of stills … plus you can enjoy a moment of well-being and relaxation in our aromatic bubble “Aromacocoon” (open every day by reservation) and discover the store with all its organic aroma essential oils. A unique place to discover! 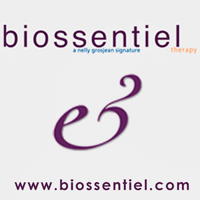 An autodidact, Nelly Grosjean is a naturopath who has specialized in aromatherapy for more than thirty years, promoting the healing properties of biological aromatic essential oils (EO) … with true passion! 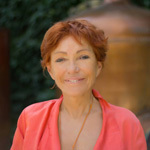 Nelly Grosjean has designed a variety of aromatic specialties, for products that are 100% organic: the “bio-aromatic fragrancing” line (breathing essential oils with aroma sprays and diffusers); the “bio-aromatic therapy” family (for friction therapy and aromatic teas); the “bio-aromatic beauty” products (for beauty and for massage); “veto’aromatic” the aromatic line dedicated to animal care. And with her concept of the “aroma bar” Nelly Grosjean proposes “floral waters” for a genuine before dinner cocktail and healthy drinking water. Irène Grosjean, ND since 1958. Having lost in my youth, many young and well cared for loved ones as it is usually understood, I told myself that if the Creator existed, it could not have intended that his creatures suffer as I suffered and saw around me suffer. And as it was said “seek and you will find” it was normal, that by seeking as I was going to, I finish one day to find that health and happiness were not only the privilege of a few, but are naturally reachable for the majority of us. This explains that when my first guide, my friend Raymond, told me that the food was the root of all our suffering, all our miseries and all our diseases, although at first, I was hesitant to believe. I did follow his teaching and the results they gave were excellent. I quickly decided to enroll in the school of naturopathy.